Despite long-standing prejudices against doing so, it is time for sociology to reconnect with its roots in biological and evolutionary thinking. Sociology emerged as a discipline when the notion of evolution was actively used in biology, geology, and emerging social sciences. Throughout the nineteenth century, many of the most prominent early European sociologists examined the social universe from an evolutionary perspective; and this perspective was borrowed in much of early American sociology in the last decades of the nineteenth century and in the first decades of the twentieth century. By the end of the second decade of the twentieth Century, however, evolutionary analysis was rapidly disappearing in sociology in the United States, and by the 1930s, it was pretty much dead. And for the remainder of the twentieth century, it was viewed with a great suspicion, especially evolutionary approaches that sought to incorporate ideas from biology into the field. Despite the revival of stage models of societal evolution and the emergence of new ecological approaches in the 1960s and 1970s, evolutionary ideas from biology were still rejected by most American sociologists though much of the twentieth century. In this paper, we first present the history of this rejection of evolutionary, with the goal of encouraging sociologists today to recognize the distortions and misrepresentations of Darwinian and Spencerian ideas that fueled intellectual prejudices for so many decades. These prejudices only get in the way of sociology in the twenty-first century, where biological ideas have begun to pervade the social sciences. 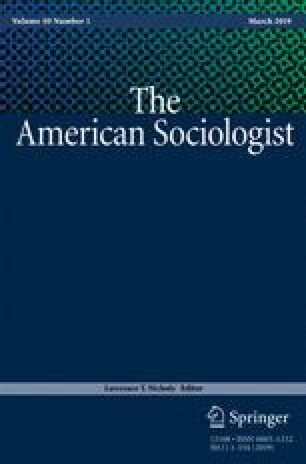 Thus, American sociologists should now take stock and reconsider how much evolutionary and biological analysis can help sociology and, equally if not more important, how an informed evolutionary sociology can influence those in the other social sciences and even those in the biological sciences.